Game recaps, Seattle officially awarded an expansion franchise, injury updates, and more in your NHL morning coffee headlines. NHL.COM: Florida Panthers goaltender Roberto Luongo returned to action and made 33 saves backstopping his club to a 5-0 shutout of the Boston Bruins. 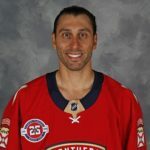 Luongo had been sidelined since Nov. 23 by a knee injury. Teammate Mike Hoffman scored twice while Jonathan Huberdeau had a goal and two assists for his sixth straight multi-point game. The Calgary Flames scored five goals in the second period to beat the Columbus Blue Jackets 9-6. Flames forwards Johnny Gaudreau and Sean Monahan each scored twice and collected two assists. It was the highest-scoring game in Blue Jackets’ history. Cam Atkinson tallied a hat trick for the Jackets. Two late goals by Nate Schmidt gave the Vegas Golden Knights a 5-3 victory over the Washington Capitals. Vegas forward Ryan Reaves was ejected from the game for a blindside hit on Capitals winger Tom Wilson, who left the game and didn’t return. Auston Matthews scored twice, including the winner in the dying seconds of overtime, as the Toronto Maple Leafs edged the Buffalo Sabres 4-3, handing the latter their fourth straight defeat since coming off a 10-game winning streak. Jack Eichel scored twice for the Sabres. Goaltender Edward Pasquale made 19 saves in his NHL debut to give the Tampa Bay Lightning a 6-5 shootout win over the Detroit Red Wings. Frans Nielsen netted a hat trick for the Red Wings, who learned winger Anthony Mantha (hand injury) will be sidelined four-to-six weeks while defenseman Danny DeKeyser (injured left hand) could miss “multiple weeks“. Max Domi and Jonathan Drouin each had three points to give the Montreal Canadiens a 5-2 win over the Ottawa Senators. Carey Price made 28 saves for the win. Patric Hornqvist’s third-period hat trick gave the Pittsburgh Penguins a 6-3 win over the Colorado Avalanche, snapping the latter’s 11-game points streak. Third-period goals by Jacob Trouba, Adam Lowry, and Nikolaj Ehlers powered the Winnipeg Jets to a 3-1 victory over the New York Islanders. The Jets skated without defenseman Josh Morrissey, who was a late scratch with a lower-body injury. Islanders goaltender Robin Lehner is nursing an undisclosed injury and didn’t dress for this game. Named the NHL’s second star of the week (ending Dec. 2), Arizona Coyotes goalie Adin Hill made 25 saves in a 2-1 win over the Los Angeles Kings. Earlier in the day, the Kings revealed Trevor Lewis had surgery to stabilize a fractured foot that plagued him since Nov.16, sidelining him an additional four-five weeks. Three power-play goals gave the Minnesota Wild a 3-2 win over the Vancouver Canucks, who’ve dropped 12 of their last 13 contests. Wild forward Mikael Granlund collected two assists. TSN: The NHL board of governors officially approved Seattle as the home of the league’s 32nd franchise. Their first season will be 2021-22. The ownership group will be wiring their initial payment of its $650 expansion fee to the league later this week. The expansion draft will be held at Seattle’s KeyArena in June 2021 and will follow the same rules as the 2017 expansion draft. ARIZONA SPORTS: To accommodate the Seattle franchise in the Pacific Division, the Coyotes will be moved to the Central Division in 2021-22. LOS ANGELES DAILY NEWS: Anaheim Ducks defenseman Cam Fowler (facial injuries) could return to the lineup next month, while winger Patrick Eaves (broken rib, back spasms) is sidelined indefinitely. NBC SPORTS: The Philadelphia Flyers officially hired Rick Wilson as an assistant coach. Hadn’t got a chance to watch much of the Sabres yet this year so I wasn’t sure about how good they were seemed like it (the win streak) could be a bit of puck luck but after seeing them last night I was wrong, they are a very good team and I can’t wait to watch this rivalry develop. This was a great game. Lots of pace good goaltending either end great plays star players stepping up and Dahlin is gonna be an absolute beast going down the road. Good for Buffalo. I may be biased against Tom Wilson, but I did not see the hit by Reaves as being all that dirty. The link Lyle shared mentioned that the two of them were after each other all game. On the play, Reaves was skating up the ice in the direction of the puck and Wilson was skating across the ice right at him. If Reaves didn’t react and hit Wilson then Reaves would have been hit himself…it wasn’t as if Reaves threw an elbow or targeted Wilson’s head. Kind of a strange play but I didn’t think it warranted an ejection and certainly not a suspension. I don’t think any Wilson bias is making me think that way…but maybe. It’s just nice to see Wilson on the ice writhing in pain instead of some poor unsuspecting smaller player. If Reaves gets suspended there is still about 15 players from the last 2 years alone that owe him a beer or 2 next summer. Ironically, any injury to Wilson was probably caused by his own negligence in wearing his helmet strap properly. A helmet should not just fly off like that. Reaves was smart and did not make contact with his head…. blindside and a tad late for sure. Thanks for saving me the typing. Reaves was completely justified in thinking that Wilson was about to attack him. Marcus Petterson looked good. Skinny Dumo. Nice pickup for a guy who wasn’t going to pan out here. Good for Leivo. Scoring in his first game as a Canuck. He needed a fresh start where he can get more mins In a top 6 role. If wilson is out for 4 months with a concussion and a broken jaw, then and ONLY THEN will he have walked in the shoes of Zach Aston Reese who wilson concussed in round 2, game 3 of the 2018 playoffs. If wilson won’t “learn” from his mistakes and dirty play, maybe it’s better if he just lives on the receiving end. And Reaves is the guy who can put him on the receiving end without the dirty play (notice no supsension for Reaves).